We have over 40 years’ experience within the home improvement industry, and we are a well established family business. 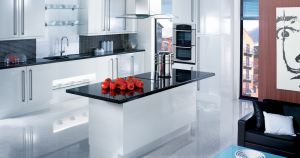 We understand the importance of having your dream kitchen made into a reality. We know how to design and build your dream kitchen! Ideas that you may wish to consider when designing your dream kitchen are do you have a specific style in mind? Have you seen a photo of a kitchen that you like or perhaps a friend or relative has a kitchen design that you would like in your home. Kitchen islands are very popular if you have the space and they are very useful. You may find that reading up about kitchen design on the internet will help your decision. You will also need to consider how your kitchen will be decorated – home decor is crucial in the kitchen. Plain white suits some areas – especially if space is limited. Style is important but let’s not forget about functionality. Your kitchen appliances need to be added carefully, so that they all work as one cohesive unit. Even the kitchen sink should be chosen carefully! Should it be stainless steel or something a little more exotic? Even if you only have a small space for your kitchen, you can still achieve a great result with some careful planning. Continue to challenge yourself when it comes to making your plans! Consider the traditional kitchen format but take inspiration from modern ideas too. Lighting in your kitchen can have a huge effect on how it looks – choose colours carefully. It’s not all black and white! Our kitchen, furniture is supplied direct from our own factory. Our expert team of cabinet makers assure quality products are supplied to the customer’s exact requirements and specifications. Our own fleet of vehicles then deliver direct to site ensuring each item of furniture arrives undamaged, complete and on time. We offer various price options tailored to each customer’s requirements, whether it be for a price sensitive project or a hand-made “one off” commissioned job. We try to offer value for moneyat all times what ever the budget. We mostly operate in the North of England but we do travel further afield sometimes.